One of the most common struggles we see in our forum is the never ending problem that rookies go through when trying to determine which trucking company to start out with. I actually have a lot of empathy with the people we see just wringing their hands over this dilemma. Recently I suggested to someone who was all caught up in this struggle that they were asking all the wrong questions. It is so easy to get yourself all worked up over this. As newbies, we seldom even realize what it is that we need to be asking. I'm hoping I can help some of you break this process down into something useful and helpful when faced with starting a new career as a professional truck driver. Here's the big problem, and it really is an artificially manufactured problem, which doesn't even exist at all. When we decide to get started in our pursuit of the truck driving career, one of the first things we do is to get online and start doing some research. What do we find? We find a virtual chorus of complainers and malcontents who have nothing but really bad things to say about all of the companies who are willing to hire us as inexperienced drivers. They make it sound as if there were some national conspiracy and collusion amongst the largest and most successful trucking companies. They all seem eager and willing to take advantage of the never ending supply of unsuspecting, ignorant, eager rookies looking to take their shot at this rewarding career. This extremely vocal group of seemingly knowledgeable persons, who have all had similarly bad experiences, are on almost every web page we look at. And their experiences are so common that it is very convincing that we need to be extremely wary of getting taken advantage of. It becomes immediately obvious that the only way we can avoid being cheated and used as cheap labor is to pick just the right company to start with. It is all “Them Against Us,” and the only way we can steer clear of this debacle is to make sure we have found that special place that truly appreciates their drivers and treats them with dignity and respect. Otherwise we will just become one of the many disposable people who were taken advantage of by these cruel profit obsessed companies who regularly cheat their new employees. I like to think that I have some authority on this subject. After all, I did work hard on coming up with my top three choices of companies to work for when I was wanting to get started as a trucker, and then I got routinely rejected by all of them. Seriously, I got sent home three different times from three different orientations that I attended as a new entry level driver. I was beginning to despair that anyone would even have me, until Western Express gave me a shot. I am actually glad now that I started at what the internet trucking wannabes call a “second chance” company or a “bottom feeder.” I have nothing but praise for Western Express, and my experience there has helped me to explain a particular truth that is very much covered up by all the loud voices that instill fear and misunderstanding in those who are looking into trucking as a new career choice. Here's the truth about getting started as a new truck driver: You alone will determine whether or not you can be successful at this career. You can name any company you think is that golden nugget of choice for establishing your career at, and I can immediately find a host of bad reviews to talk you out of starting your career with that company. Or I could go to just about any truck stop and find one of that company's current drivers who would warn you to stay away from that company. If I am going to be successful at trucking, then I must be responsible for my own results. When one driver does really well at one company, and then another driver does really poorly at that same company, where must we lay the blame? Often times you will find that one driver fails while another has great success and they were both with the same dispatcher! This is an individual problem, and it takes an individual to resolve it. When we focus all our energy on finding just the right company to start with, then we completely ignore the one thing that really matters for our success. If you want to be successful at trucking you have got to take a good hard look in the mirror and determine that you will prove your worth to whomever takes you on as a new driver. The truth is that most of these companies are making an educated guess when they hire any new rookie driver. They have studied your application and are willing to give you a shot based on a few clues they have learned to recognize that might indicate you have the potential to survive. That is really all they have to go by. They are taking a chance on you, and it is all up to you to prove yourself worthy. There is not a dispatcher in the country who really expects the new drivers on his board to make it past that first year. They have been through this routine so many times before, and their new drivers usually end up letting them down in one way or another. It is just the reality of this career. The ones who do make it are a special type of person who has certain qualities that help them push through the many problems that overwhelm most of their competitors. Becoming a professional driver, and continuing your career as a driver, is very much a competition. So, let's talk about the things that make an individual particularly prone to success at this career. Everything about this career is based on your performance. As a rookie driver you have no track record. There are drivers that your dispatcher is familiar with who always come through for them. Those drivers are going to be getting the lion's share of the work. As a new driver you have got to establish your worth. You have got to be consistently safe, consistently productive, and consistently on time. You also need to communicate effectively with dispatch so that they know when you are going to be available, and how you are making progress on each step of your current load. Most of us have completely skewed expectations when we start this career, and it is important that we understand the realities we will face. How many times have you seen the whiners and complainers on the internet saying that company X wouldn't give them enough miles to survive? I can promise you that company X has plenty of drivers who are getting all kinds of miles – that is how company X makes their money. The whiners and complainers don't understand that we get what we deserve in this business. It is a competition and those who expect to be treated fairly just because they showed up for work that day will soon be disappointed. Set your expectations in yourself high. That is where your expectations need to be. You are not looking to the company for fair and equitable treatment, you are looking to establish yourself as someone worthy to be trusted with the best loads. That is how you get a fair shake in this business. You put in the effort and establish a track record of consistently being a top performer. This is another thing that causes so many people to stumble at this career. Most of us are accustomed to jobs where we have a manager present or a supervisor whose job is to see to it that things are going along as efficiently as possible for us at our job. When there is a problem we can just let the manager know about it and then it is off of our shoulders and on the person who is getting paid the big bucks to handle stuff like that. A problem child may not even have his phone calls answered, and he will sometimes sit for hours at a time waiting on dispatch to respond to him. My dispatcher sometimes refers to this type of driver as needy, or always needing their hand held. No dispatcher wants to waste his precious time on this type of driver. A successful driver learns to think on his own and solve his own problems. This is a learned skill out here. You have got to understand the importance and value of it, and start early at developing this characteristic. Another characteristic of a successful driver is that they are hard working individuals who understand this career involves long erratic hours. I get amused at times when people focus on how much time off they want to have as a truck driver. I am constantly trying to maximize my available hours, and this is what your dispatcher will be expecting of you. We make money by moving freight. We are allowed to drive 70 hours in an eight day period – that is a lot of hours. Most truck drivers work the equivalent of two full time jobs each week. There is a well known internet whiner who claimed his company was forcing him to drive unsafely because they expected him to work while he was too tired. The problem with his rant is that he had already had two ten hour breaks before they expected him to get back to work! Come on now, if you can't get to work after resting that long, you are not going to make it in this business. If you don't have the kind of work ethic that likes to hit it hard and stay on it until the job is done, then you may be fooling yourself that this career is for you. Also notable in a successful truck driver is that they are easy to get along with, or easy to work with. This is a job that attracts a lot of hard headed know it all types. The type A personalities find a place here where they don't have to be bothered with other people around them. This is a job that has a lot of solitude to it, but you still have got to get along with people if you want to succeed at it. You can be a type A personality and be a great truck driver, you just have to make sure you keep a level head and don't get “too big for your britches” as my late Granny was accustomed to saying. If you go into this thinking that everyone is holding you up from progress and start trying to push your way around with your customers and your dispatcher you will find yourself being ignored and just not getting much accomplished out here. There is a way to get things done even in a challenging environment, and it usually involves a person who understands the dynamics of each situation and how to conduct themselves in the heat of the moment. Blowing a gasket each time you meet with an encumbrance and expecting everyone to kowtow to your demands will not get you far in this business. For some of us this has to be a learned behavior, for others it seems to come naturally, but it will be important to your success. You will need to learn how to be efficient with your time management. There is a lot to this part of the career. You are not only taking on a new job, but in reality it is an entirely new lifestyle that you must adapt to. Even just finding the time for meals, showers, laundry and things like that can be challenging for a new rookie driver. There are daily challenges to managing your time out here. You are having to get things accomplished on tight schedules, and doing that under regulations that restrict you to certain time slots. If you have struggled with time management in other aspects of life you are in for a challenge. This is a vitally important skill that each new driver must learn to develop as he works his way toward building a good solid relationship with his dispatcher. This is an area where you can really shine above the other drivers on your fleet once you get the hang of it. One thing that really helps a person in this area is to understand the log book rules. Often times just by being creative and and understanding how to make the most of the rules you can make yourself out to be a super star on the team. Every dispatcher loves a driver who knows how to maximize his utilization of his available hours. Now, did you notice how none of those things that help a truck driver be successful out here had anything to do with the company they choose for the start of their career? Think long and hard about it. Don't waste your valuable time and give yourself sleepless nights fretting about which company is going to treat you right. I got treated great by a company that had nothing but really bad internet reviews from former drivers. How is that so? Your performance and your attitude will determine your treatment in this career. You will measure out your own degree of success. Don't listen to the naysayers, they have lost all their credibility. They have garnered no respect from the folks who are out here making it happen every day. Your performance says it all. 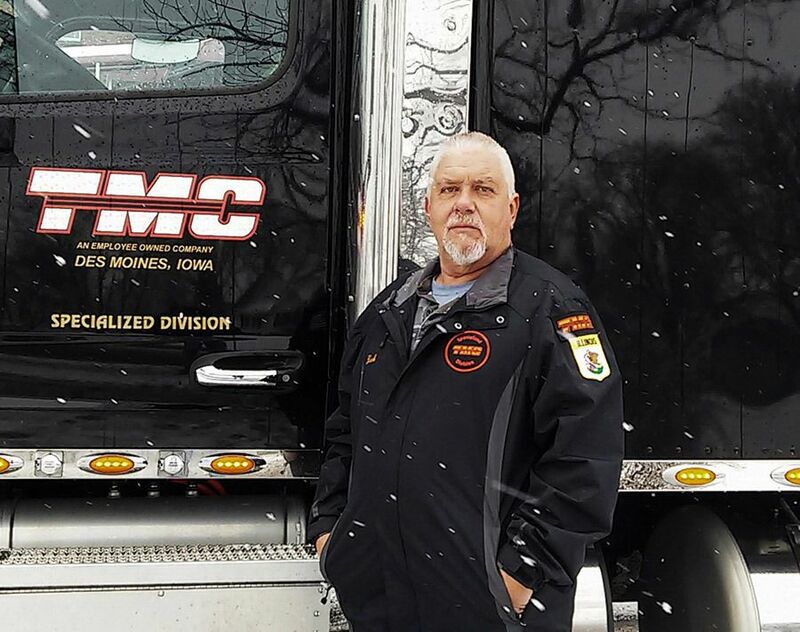 If you would like to comment on this article you can do so here in our forum: Article By Old School: Do I Have What It Takes To Be A Successful Truck Driver?